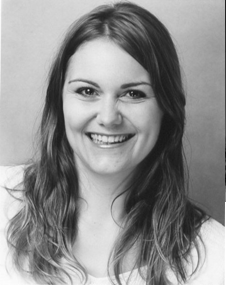 Sonja Morgenstern is a trained actress and voiceover artist based in London. She worked on an international tour of the musical comedy 'An English Tea Party or: Hitler killed my Canary' with TNT, which ran at the Edinburgh festival in 2007; other memorable theatre performances include 'Dr Faustus the musical', a few years of panto and a play in German for A-level students. She has appeared in films and on TV, in music videos with the Chemical Brothers, Ash and Toploader, in commercials and in photographic campaigns. Sonja has written two screenplays and contributed story ideas to CBeebies' 'The Large Family'. Recent projects include voicing actress Kira Kosarin for Nickelodeon and scientist Sarah-Jane Blakemore for a short documentary which won the Jacobs science prize; and recording a feminist version of 'Delilah' as well as backing vocals with the Flat Cap Cats in 2015. Sonja is a pioneer of Jazz-Philosophy Fusion, having appeared on all of philosopher / saxophonist James Tartaglia’s albums since 2002. Her unique style of improvised acting around philosophical themes, which is both thought-provoking and often intensely emotional, has become integral to the sound of this new music.